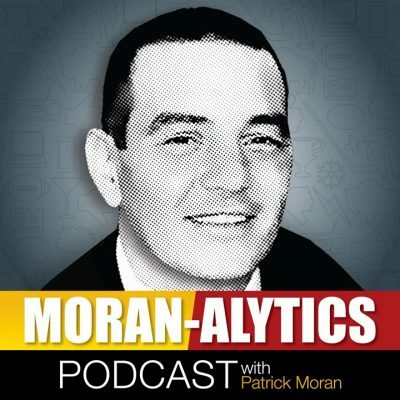 On this episode of the Moran-Alytics Podcast, Patrick Moran interviews a very talented sports reporter at WGRZ-TV Channel 2 in Buffalo, Heather Prusak on a variety of topics. The two discuss Prusak’s growing up in the Town of Hamburg (New York), why she had her heart set on staying nearby to attend Syracuse for college, and they retrace the career steps that led to Prusak’s opportunity at WGRZ-TV, including stints at the college’s Citrus TV and a video production internship with the Buffalos Bisons that saw her go above and beyond. Moran also gets Prusak’s takes on several sports media topics, discuss what it is about Western New York that remains so endearing to them before ending the conversation by putting Prusak through the Mini-Lightning Round where we find out many of her favorites, including a surprising favorite Twitter follow and a country music superstar among her three most desired dinner guests. You can follow Heather on Twitter (@haprusak) and of course check out her work at WGRZ.com when she’s not on the air at Channel 2. Immediately after that Moran is joined by his buddy Joe from NYC (@buffalowins) for another installment of “The Run-In With Joe.” Today the two are discussing a historically shocking evening of WWE Monday Night Raw this past Monday, both in the real world and kayfabe. WWE Universal Champion Roman Reigns announced at the beginning of the show that he has Leukemia and has to immediately leave to focus on his health and family, which got Moran and Joe thinking about the saddest sports moments they could remember. During the entertainment portion of the show, Dean Ambrose shockingly turned on his partner Seth Rollins seconds after the two captured the tag team titles, which got the guys reminiscing about the most shocking heel turns ever. They talk Chad Kelly’s latest disaster and buzz about a potential strain between Buffalo Bills head coach Sean McDermott and general manager Brandon Beane before Joe hits his finisher on the reputation of blue collar football.